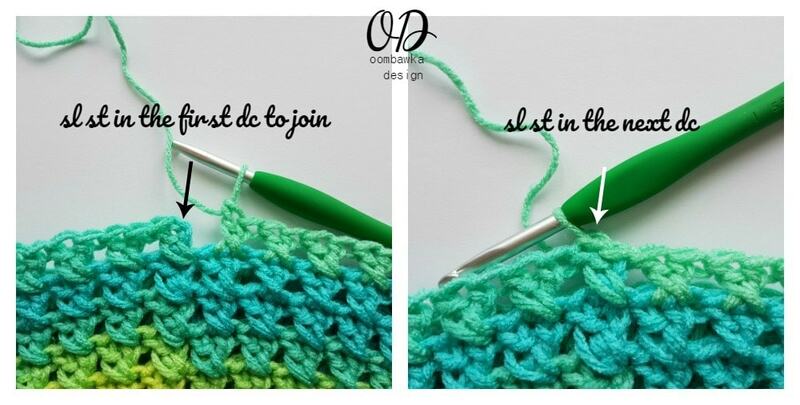 I had a little yarn left over (65 g) after making my crochet shawl so I decided to whip up a quick hat pattern for you all to use with the new Super Saver Stripes Yarn from Red Heart. For more information about this yarn, please see my Crochet Yarn Review HERE. 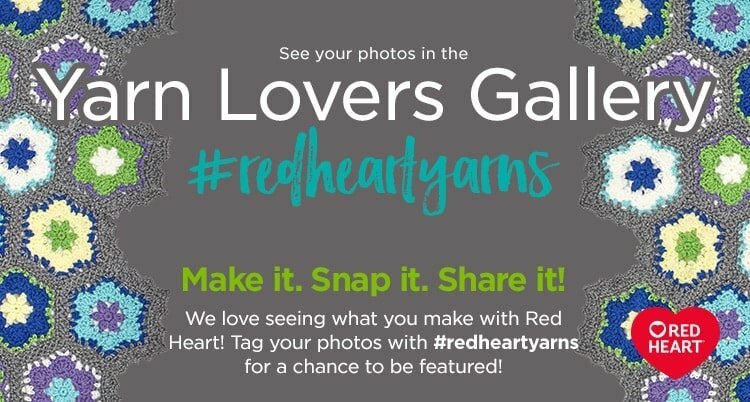 Red Heart generously provided me free samples of this great yarn to try and as a result you have a new Free Crochet Hat Pattern – total win – win situation I think 🙂 Thank you Red Heart! 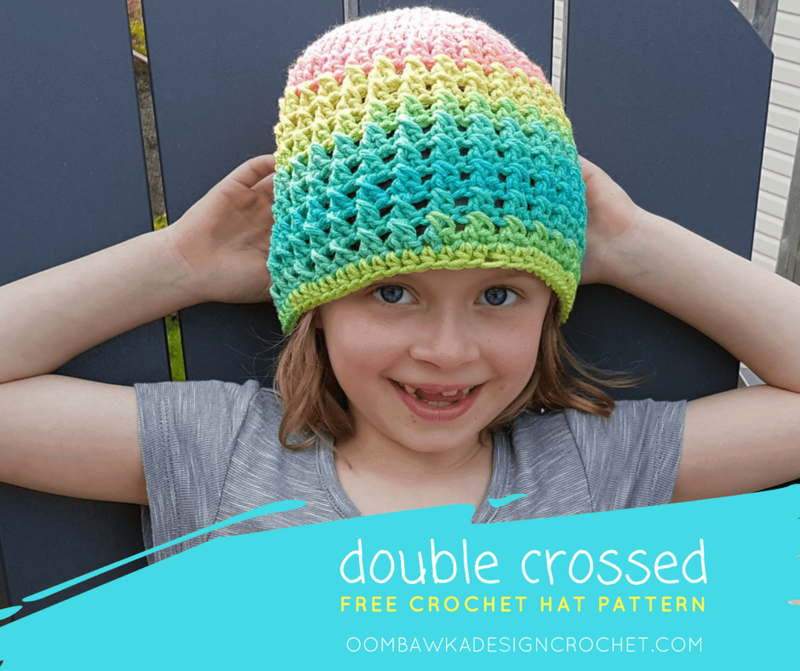 This pretty striped hat is made up of crossed double crochet stitches. 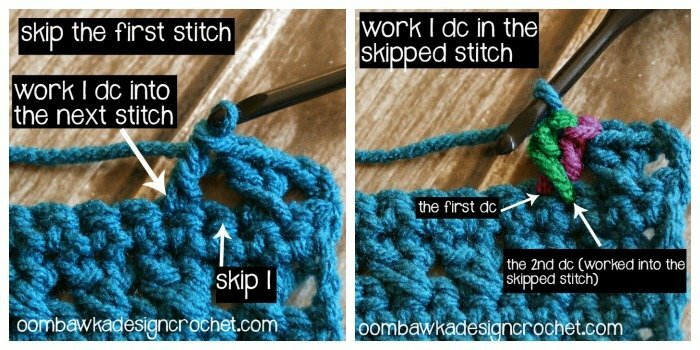 This is an easy pattern and I have included photo support for the stitches (scroll to the end of the post to see these!) and the pattern is provided below in multiple sizes ranging from Preemie to Adult (and a couple extra in-between). As always with the hats I design, sizes are based on math (circumference and pi) – so check the head size of the recipient to be sure they fit into the ‘suggested’ size ranges if you have a head to check. We all know heads do not always conform to ‘standard’ sizes. I have included the head size, as well as, the finished hat size for each hat because hats need to be a bit smaller than the head they are meant to fit or else after they stretch they will no longer fit. These hats will stretch approximately 2 inches. Two hat lengths have also been included – the hat has been designed to reach the base of the earlobe and additional instructions are provided to make this hat reach mid-ear length instead. 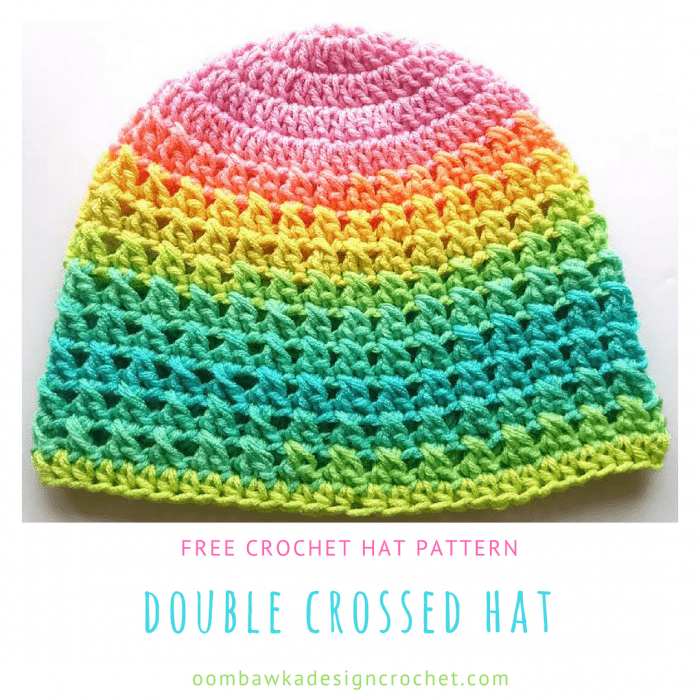 Alternately, you can make these into slouch hats, or any other length simply by adding or omitting approximately 1 round of Crossed Double Crochet for each 1/2 inch you want to increase or decrease. 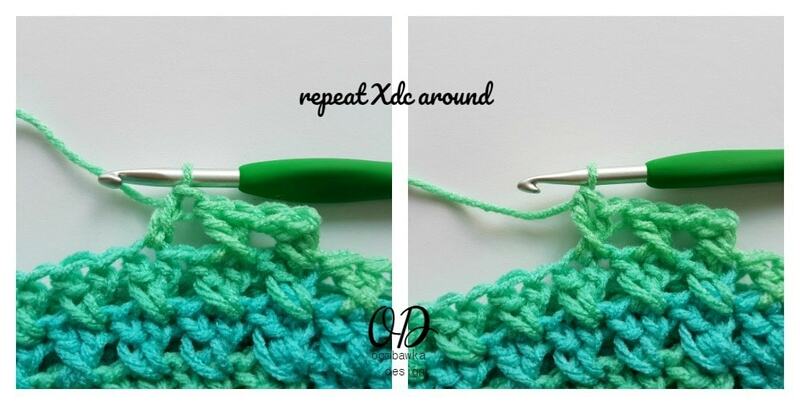 Double Crossed Stitch Tutorial (specific to this post) is at the very bottom of this post 🙂 so scroll on down if you need it! If you would prefer the hat to reach mid ear, stop your repeats after Round 6 and then continue to R8 to complete the hat. If you would prefer the hat to reach mid ear, stop your repeats after Round 7 and then continue to R9 to complete the hat. 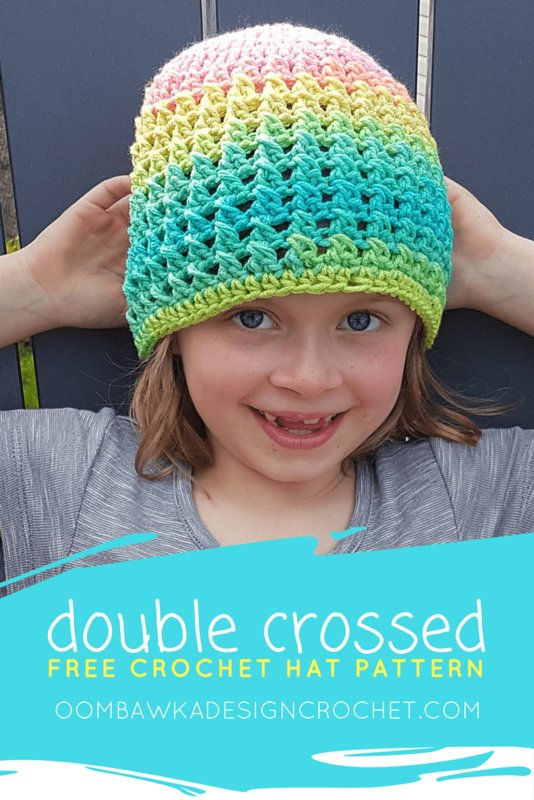 If you would prefer the hat to reach mid ear, stop your repeats after Round 9 and then continue to R11 to complete the hat. If you would prefer the hat to reach mid ear, stop your repeats after Round 9 and then continue to R12 to complete the hat. If you would prefer the hat to reach mid ear, stop your repeats after Round 10 and then continue to R13 to complete the hat. If you would prefer the hat to reach mid ear, stop your repeats after Round 11 and then continue to R13 to complete the hat. If you would prefer the hat to reach mid ear, stop your repeats after Round 11 and then continue to R14 to complete the hat. If you would prefer the hat to reach mid ear, stop your repeats after Round 12 and then continue to R15 to complete the hat. If you would prefer the hat to reach mid ear, stop your repeats after Round 13 and then continue to R16 to complete the hat. I am sure this is something simple and I should know, but what is MR that is at the beginning of each pattern? I am looking forward to using your pattern, thanks for the multiple sizes. I fell in love with this hat! 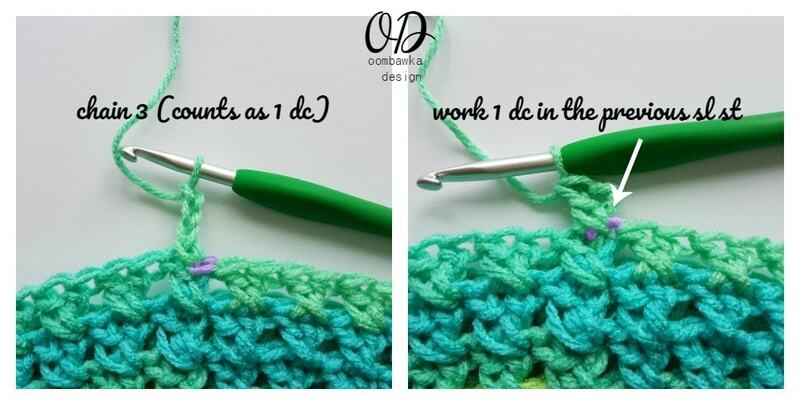 I love how the cross double crochet stitches look, I’m definitely going to meke one! 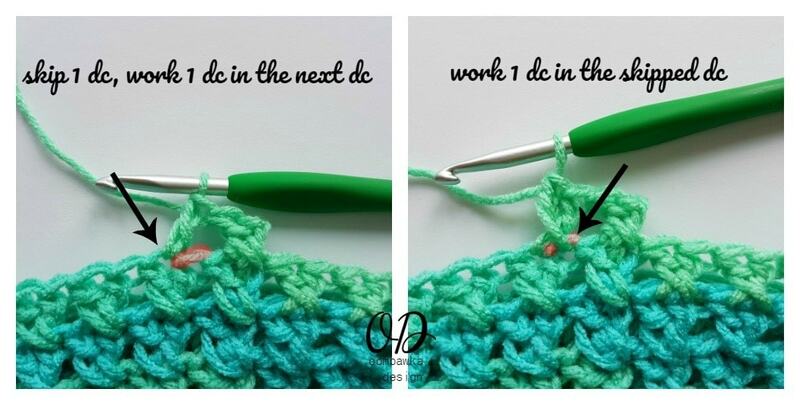 Hope it works with one colored yarn, as this pretty yarns aren’t sold where I live.